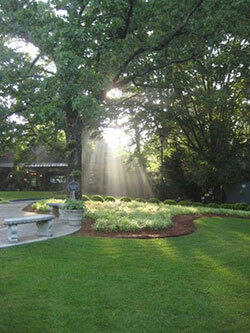 Perennial Lawn and Landscape was founded by Mike Davidson after several years of working in the Atlanta market. Mike then decided to take his talents and settle in Watkinsville Georgia to raise a family and add value to the community. The company was founded on the feeling that the Watkinsville/Athens area lacked a truly professional and dedicated landscape maintenance and installation company. For starters is our guarantee. We have the strongest guarantee in the state of Georgia in our iron clad YOU’LL LOVE IT, OR WE’LL PAY FOR IT GUARANTEE. If there’s an issue with our service that we can’t fix, we’ll give you your money back, and actually pay a competitor to fix the issue for us. That’s how confident we are you’ll absolutely love what we can do for you. Second, we take a research based approach to landscaping, and promote professionalism within the landscaping community. As a Georgia Certified Landscape professional, and a proud member of the National Association of Landscape Professionals, we use industry best practices, and go with recommendation as outlined by UGA and the Center for Urban Agriculture. Bottom line, “We Cultivate Quality” through proven methods to get superior results. Last but not least is our reviews. Don’t want to take our word for it? Tons of your neighbors use us, and they love telling people about us. 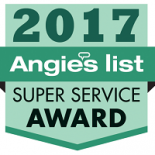 We’ve actually received the Angie’s List Super Service Award 5 years in a row. That is a distinction that only 5% of all the businesses on Angie’s List receive. 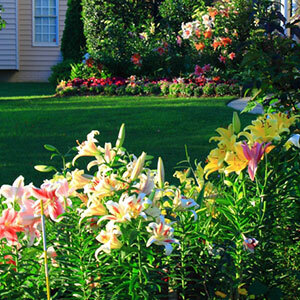 Our Mission is “To enhance and maintain the community through sound horticultural and landscaping practices. In doing so, we maintain a focus on customer service and satisfaction every step of the way”. Whether you need us just once or you’d prefer us to stop by every week, we can offer a service plan that makes sense for you, your budget, and your landscape. 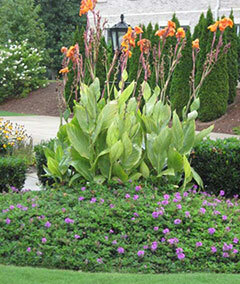 We look forward to creating a landscape you’ll be proud to show off. Call Perennial today to begin.